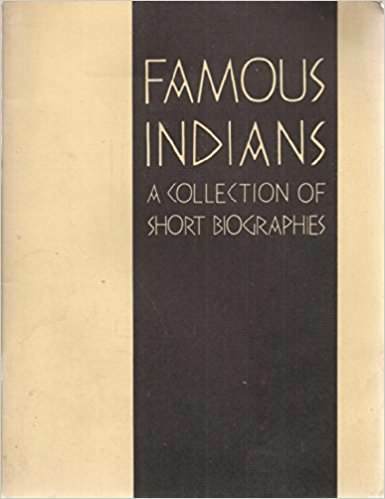 Famous Indians: A Collection of short Biographies by The Interior of Indian Affairs. Warriors, statesmen, prophets and scholars,--the firmest of friends and most formidable of foes--there are heroes and heroines of many kinds in the often tragic yet inspiring saga of North American Indians. Many of the Indian personalities whose lives are briefly described here were Chiefs--some of them have become famous around the world. All were leaders in a great struggle to preserve treasured lands and lifeways. With their tribesmen, they are inseparably linked to our country's history from its earliest beginnings through generations of growth. Biographies (most including portraits or photographs) include Powhatan, Pocohantas, Massasoit, King Philip, Pope, Joseph Brant, Pontiac, Sacajawea, Tecumseh, Sequoyah, John Ross, Black Hawk, Osceola, Cochise, Seattle, Red Cloud, Crazy Horse, Sitting Bull, Wovoka, Joseph, Quanah Parker, and Geronimo. In an 8x10, double column format, this was, as they say, short and sweet. The Biographies were only 1 or 2 pages long and yet... I read of some Famous Indians that I had not heard of in the books I have already read. I am finding there are so many books out on the "western Indians", that I will have to search for some on the Eastern Indians. I have already learned there were many tribes I never heard of because with all the killing they came extinct. Not a very nice word.. but true. It is so ironic that in today's world we invite people from other countries to come and live here, share all we have! When, back when man discovered America and the Indians said, "come and live here and share what we have", the "new American", with all his greed, could not "share".. they wanted it all... and took it all. I read the books about Indians now... I know I cannot change anything of their past, or our past... I just wonder why the lesson of Greed cannot be learned? Indian Heroes and Great Chieftains by Charles A. Eastman. Raised as a Santee Sioux in the 1860s and 1870s, Charles A. Eastman (Ohiyesa) wrote eleven books in which he attempted to correct misapprehensions whites had about Indians and to bring the two races closer together. 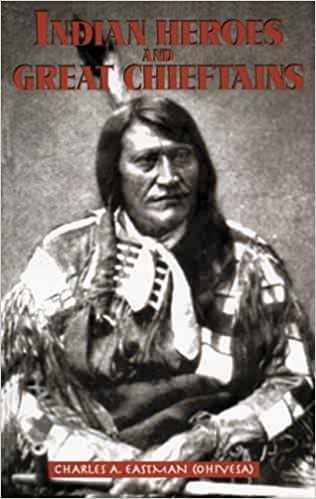 In the present volume he offers biographical sketches of 15 great Indian leaders, most of them Sioux and some of them, like Red Cloud and Rain-in-the-Face, friends and acquaintances of the author. In vivid vignettes Eastman captures the character, achievements and historic importance of such leaders as Crazy Horse, Sitting Bull, Little Crow, Chief Joseph, and Spotted Tail. Enhanced with 12 portraits, these inspiring pieces will be of great interest to students of American Indian culture and history as well as to anyone who enjoys reading about the larger-than-life figures who dominated Indian life in the second half of the nineteenth century. This book may be small, but it is mighty. Much in the book I have read before in other books, but this is short and sweet and written by someone who actually met most of the Indians you are to read about. You can't get anymore information then from one who was there, even if it was towards the end . Eastman other books are sold in a collection, which I could never afford but.. there are some of them out by Dover in this small size. There are at least 2 others I hope to get and add to this one. Anyway.. loved the book. If you are inclined to read about the Indians I highly recommend this book. 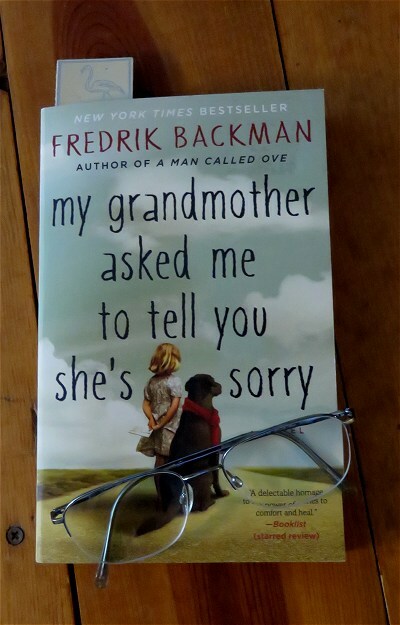 My grandmother asked me to tell you she's sorry. My Grandmother asked me to tell you she's sorry. by Fredrik Backman. Amazon: Elsa is seven years old and different. Her grandmother is seventy-seven years old and crazy—as in standing-on-the-balcony-firing-paintball-guns-at-strangers crazy. She is also Elsa’s best, and only, friend. At night Elsa takes refuge in her grandmother’s stories, in the Land-of-Almost-Awake and the Kingdom of Miamas, where everybody is different and nobody needs to be normal. When Elsa’s grandmother dies and leaves behind a series of letters apologizing to people she has wronged, Elsa’s greatest adventure begins. 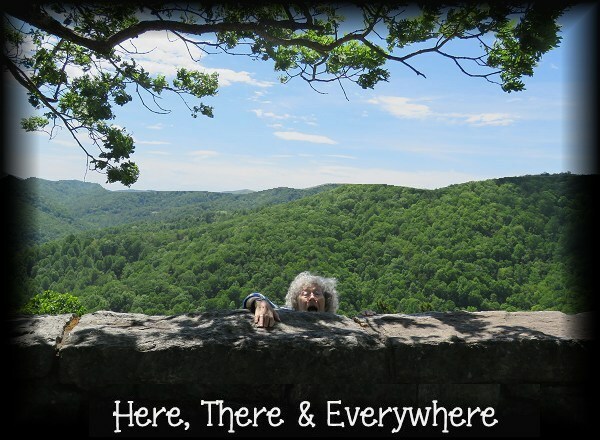 Her grandmother’s instructions lead her to an apartment building full of drunks, monsters, attack dogs, and old crones but also to the truth about fairy tales and kingdoms and a grandmother like no other. I have to admit it, I don't remember what made me get this book. It's different from anything I normally read, but in many ways I really liked it. Parts were very sad, and with my depression I thought to put it down, but I didn't and there was only one small part that made me think of my son Thom and cry. Otherwise.. this is a good read. "This gets tricky, from a narrative perspective, because the people who reach the end of their days must leave others who have to live our their days without them. It is very, very difficult to be the one who has to stay behind and live without them. " The northern Great Plains at the time of Crazy Horse's birth, around 1839 or 1840, were still wide-open buffalo country well known only to a few white traders and trappers. But before the Oglala Lakota war chief was two years old, the first white emigrants appeared on their way to Oregon, launching one of the greatest mass migrations in history and setting the stage for the end of the freedom plains tribes had known. Even as Crazy Horse was becoming one of the Lakota's most renowned warriors, many of his people had already given up their way of life and moved to reservations established by whites who saw them as a hindrance to progress. Those, like Crazy Horse, who chose to follow the old ways soon found themselves confronting an enemy whose might and tactics often were beyond their comprehension and whose goal was their destruction.This poignant book sheds new light on the life and death of one of the greatest Native American leaders, "one of the bravest of the brave," in the struggle against the westward movement of white settlers. Author Mike Sajna reveals Crazy Horse to have been not only an intelligent war chief with the good of his people at heart but also an ardent lover and cautious warrior who at times made mistakes and was as frightened as anyone when it came to confronting death. Sajna portrays Crazy Horse as a quiet, shy person who avoided attention off the battlefield but nevertheless inspired awe, excitement, jealousy, and fear. From his childhood when he showed courage capturing a wild horse to his first fights with the Pawnee and Shoshone, it was clear that Crazy Horse would become a fierce warrior. And yet he was also a tender man who was almost killed pursuing the woman he loved. Together with Sitting Bull, Crazy Horse led the great Sioux-Cheyenne Uprising of 1876?77, which reached its high point on June 25, 1876, with the destruction of Colonel George Armstrong Custer and more than 250 men of the Seventh Cavalry at Little Big Horn. The surrender less than a year later of Crazy Horse and his people was considered, even by his contemporaries, an epochal event in the history of the Plains Indian wars and the West. 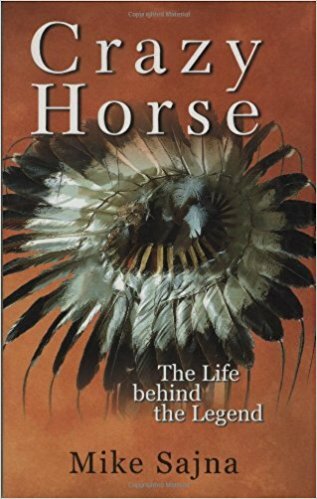 This meticulously researched biography goes a long way in separating the facts from the many myths that cloud Crazy Horse's life, while at the same time placing him firmly within the context of his times. So... This book took me a long time to read. Many reasons why, but one of them is NOT that I didn't want to read about Crazy Horse. However good and informative this book is... barely any of it tells me much about Crazy Horse. In the beginning the author admits that information on Crazy Horse is very limited to only a few "facts" and much from old Indian lore. Therefore, it winds up that the only "facts" are mostly in the last 3 chapters of the book, which surround his being in the fight that kills Custer, and the final chapter on how Crazy Horse dies. All other information is declared "unconfirmed". sigh. I was disappointed that very little is known about Crazy Horse, but if one has not read other books about Native Americans, back when White man took over then this book would be informative. I was determined to read all the book just in case more information I had not read before might show up. And some did. One exciting book title showed up and when I searched it on Amazon I know I want all the information written by the author , A Eastman, on the Indians. The main book being titled Indian Heroes and Great Chieftains. But of course I want what I can't afford! (nothing new there!) Click the link.. don't laugh too hard!